Bedroom is the heart of house. It is the place where you live and spend a major part of your day. The bedroom adds a lot to the overall look and feel of the house. A nice and beautifully decorated bedroom will make you feel special and your guests will simply love it. One of the major problems that many of us face is the decision of the color. 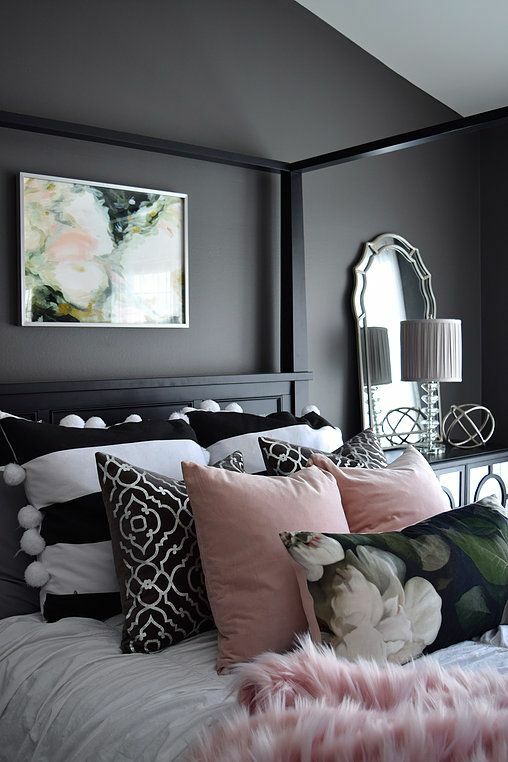 Most of us are unable to decide the color in which the bedroom should be decorated. Black is one of the decent choices. It is a color loved by everyone. It is a beautiful color and is sure to add charm and beauty to your bedroom and overall to your house. 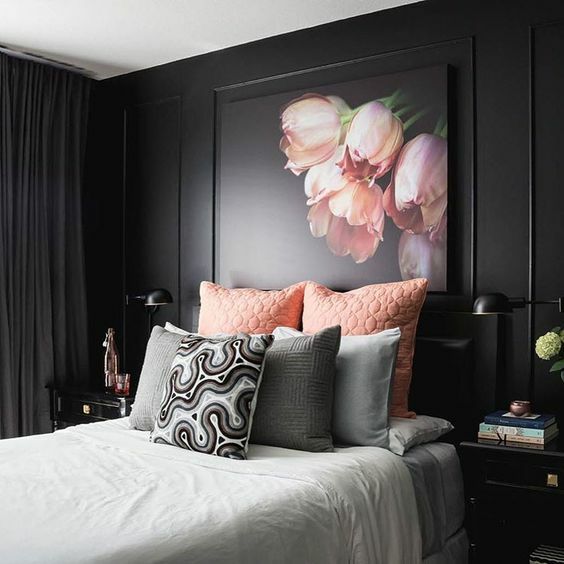 Below mentioned are the 10 black bedroom ideas you can try yourself. Giving your room a modern look is one of the decent choices nowadays. Have a look at this image and you will realize how beautiful it looks. There is nothing wrong with this idea. Each and everything is simply perfect and up to the mark. 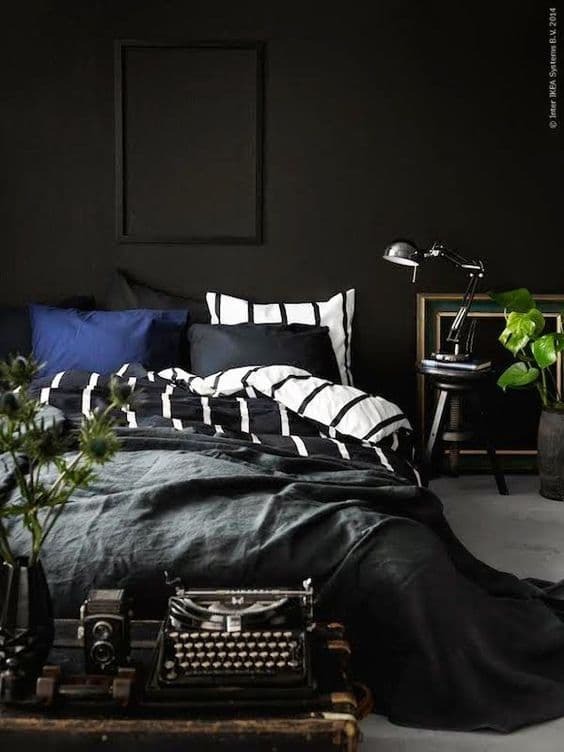 The stylish black bed and a luxurious storage will make it pure black and you will love that feeling. The Royal Black is also a nice idea that will get the job done for you. The furniture needs to be in a bit traditional style along with the storage and get ready to feel the unexplainable. It has a unique feeling and you will able to feel it once you will step into the room. It is really a nice idea. Another traditional yet classy idea that will make your bedroom a special place. 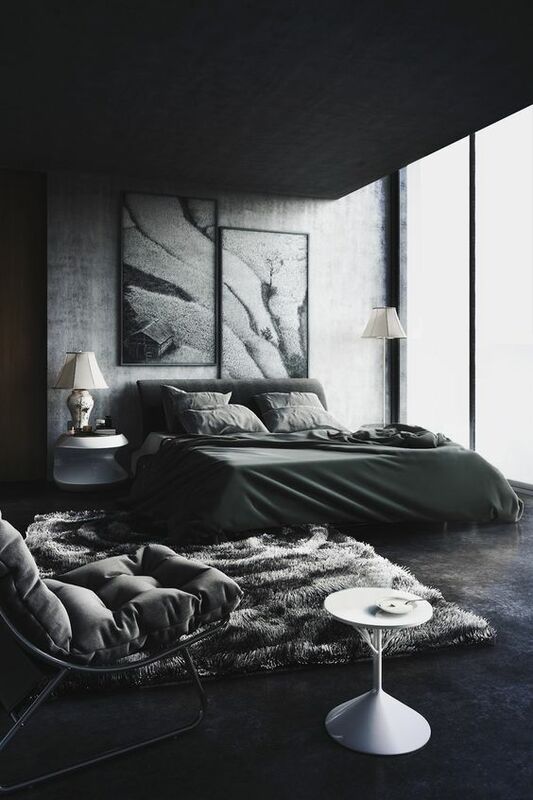 The black and gray theme will really boom your bedroom. Imagine how it feels by looking at the picture above. 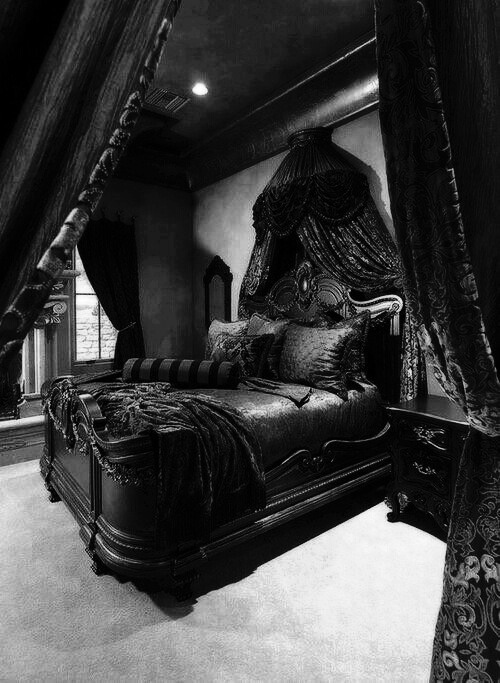 The royal bed with grayish theme, the gray and black background and black curtains and carpet are really making a perfect combination that surely will be loved by everyone. The combination of black and white is always the best. 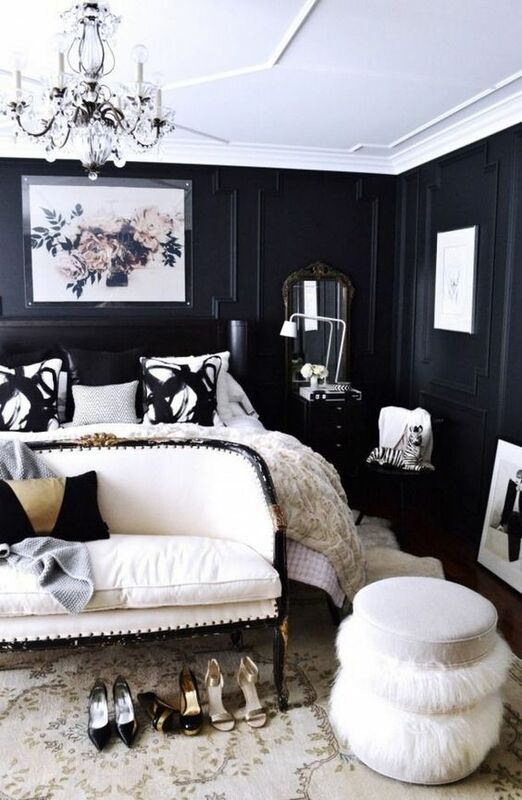 The white furniture will boom your black bedroom and will make it visually appealing. 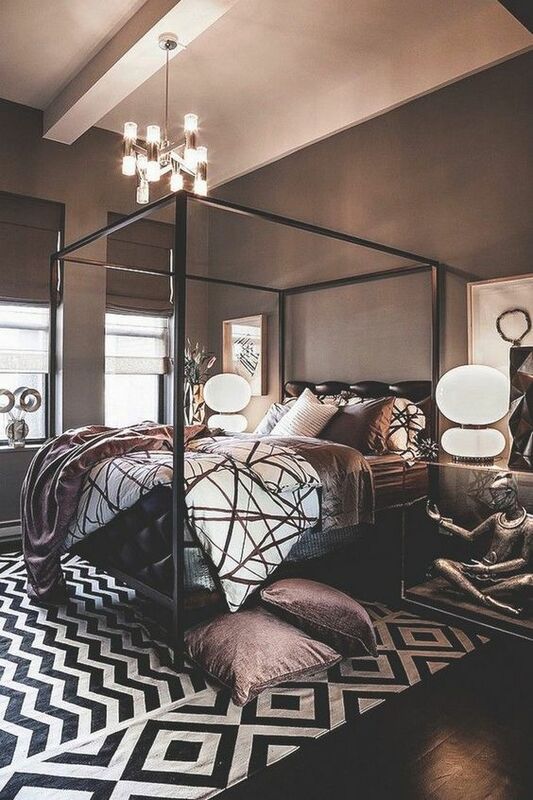 It is one of the unique ways of decorating your bedroom and it is something that will really please your eyes. You need to make sure that you keep the things clean in order to keep that feeling last longer. The trio of black, red and white is simply amazing. There are no words to explain that very combination. 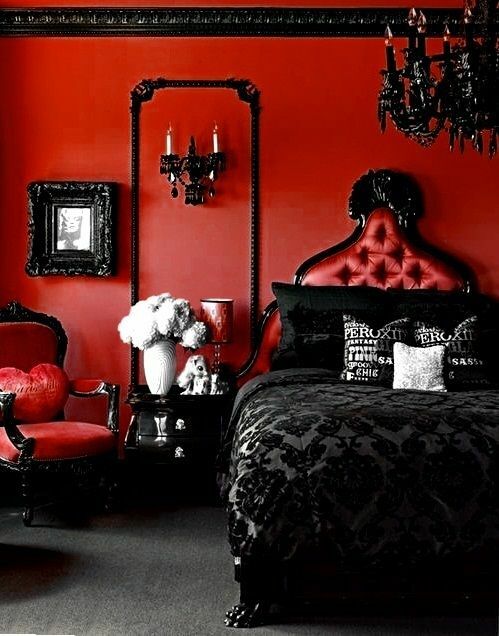 Give a slight touch of red in your black and white bedroom and get ready to get praised. It is something that will be loved by all of your guests and people visiting your room. You can add some different variations like getting some other part e.g. the cupboard or curtains red in order to feel that specific thing. It is also an idea that you must consider. 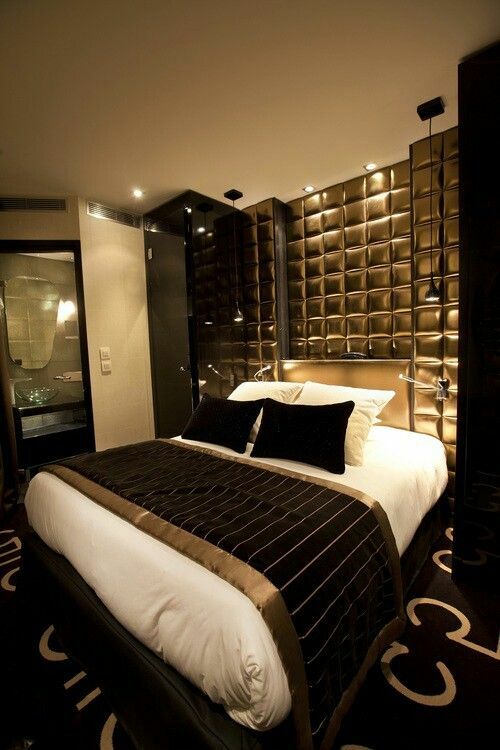 The fancy lights or the fancy drapers are also an excellent idea to add some beauty to your black bedroom. It adds an extra charm and glamour. It is also a nice idea to meet daily light requirements. Install as much lights as you need. Make sure that you install them in an appropriate position so that they look beautiful and adorable instead of looking too much congested. 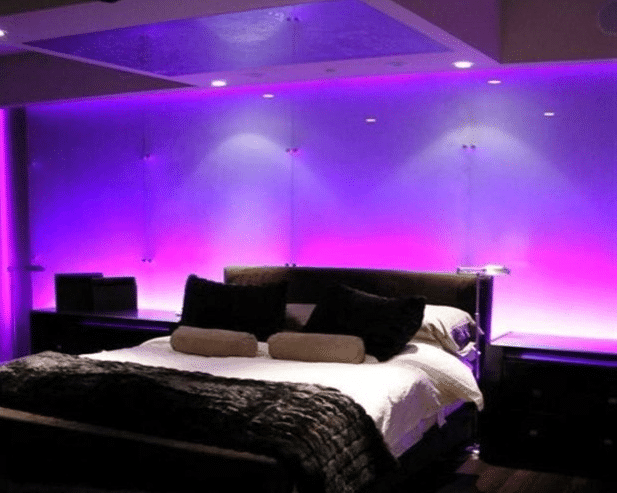 Use different fancy, smoky lights to add some party feeling to your room. It is one of the finest options that you can consider. You can install multiple lights of different colors in order to change the theme whenever you need. If there is no need of the lights, simply switch them off. 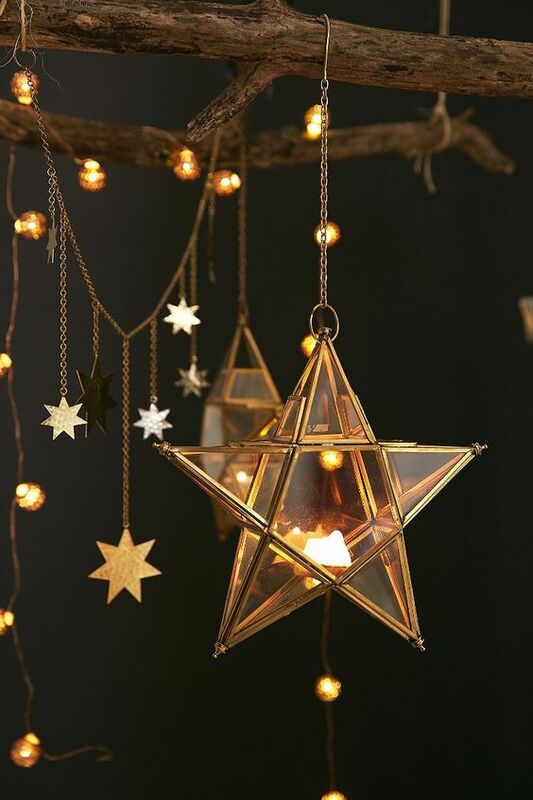 In short there is nothing wrong in installing such lights as they will not take a huge space and you can play with them whenever you want to. 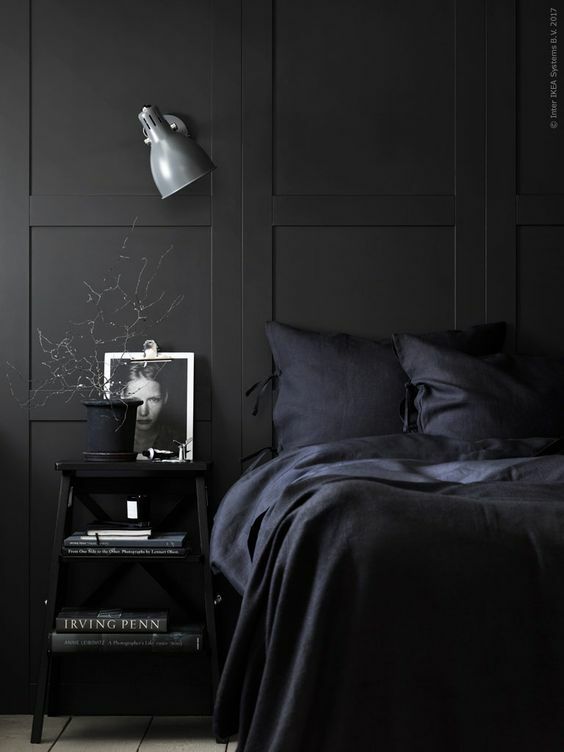 Using the different shades of black is also a decent idea. It allows you to use different all combination of black in order to maintain the blackish feeling. The theme works excellently in winters. You can use any of the shades of black in order to get that particular feel. Have a look at the image and see how beautiful it looks. 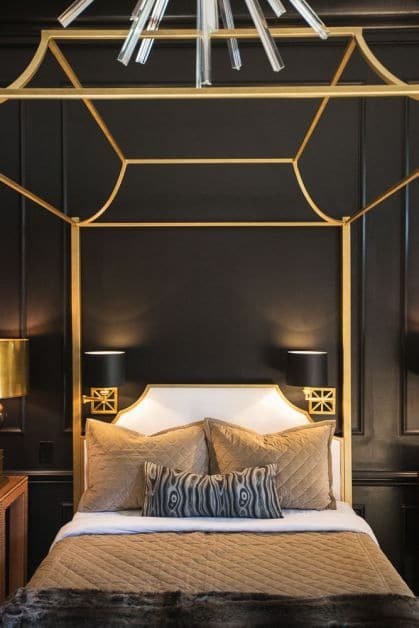 Giving your black bedroom a golden touch is very much in nowadays. It not only makes your room look luxurious and stylish but also adds a feeling of royalty. The unique combination and the feel of black and golden is really very astonishing. You need to make sure that you choose the perfect shades of both the colors as shown in the picture above. Look at the image and you will witness simple perfection. Simply, a class apart. Adding a different color according to your taste is a nice idea. You can have one wall painted in any of the lighter or darker shades according to the weather. You can also have some different things in the same color e.g. the rugs. It will add a bit change in the color combination and it will look good. The above mentioned are few of the ideas. You can have your own ideas if you are creative enough. You can take help of the experts as well. You need to take care of few of the things including the space. Know the measurements and plan decoration according to that.